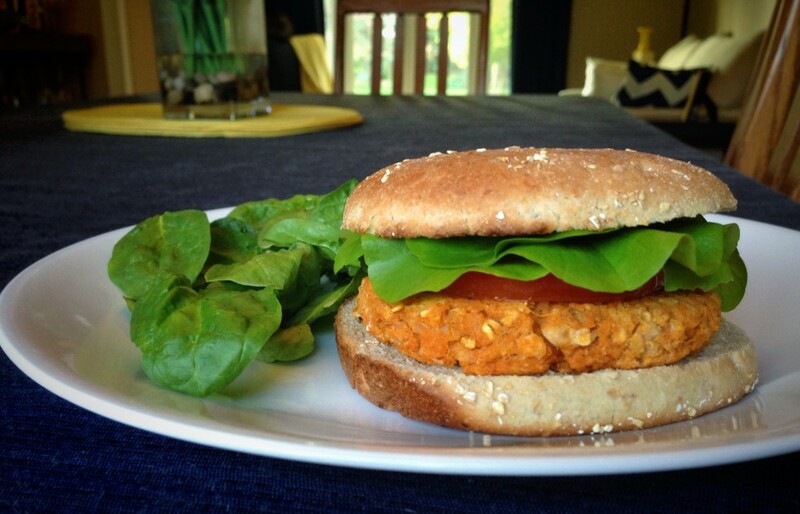 In honor of National Burger Day, and as part of Meat Free May, I decided to try a new burger recipe based on a recipe for Smoky Sweet Potato Burgers I found on ForksOverKnives.com. I was intrigued by the recipe for a couple of reasons, including the fact that it’s made with sweet potatoes as part of the burger, and it’s both vegetarian- and vegan-friendly. 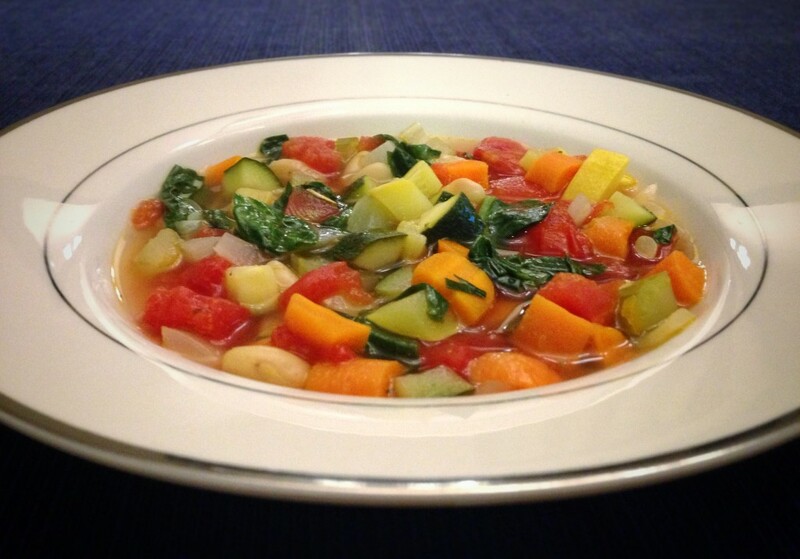 It also gave me another opportunity to add to my list of recipes for my 50 in 15 Challenge. I adapted the recipe a little bit to suit what I had on hand, as well as my own personal preferences. The end result was a nice, moist, and flavorful burger that I will definitely be making again in the future. So far this month, doing a vegetarian diet for Meat-Free May hasn’t presented too many complications or difficulties, outside of ensuring I don’t accidentally eat something with an often-overlooked ingredient or two that aren’t vegetarian. Well this week, I’m taking my “vegetarian-for-a-month” one step further and going vegan. The other night, my wife and I were in the mood for some “grown-up” grilled cheese sandwiches — something more than just cheese in the sandwiches. 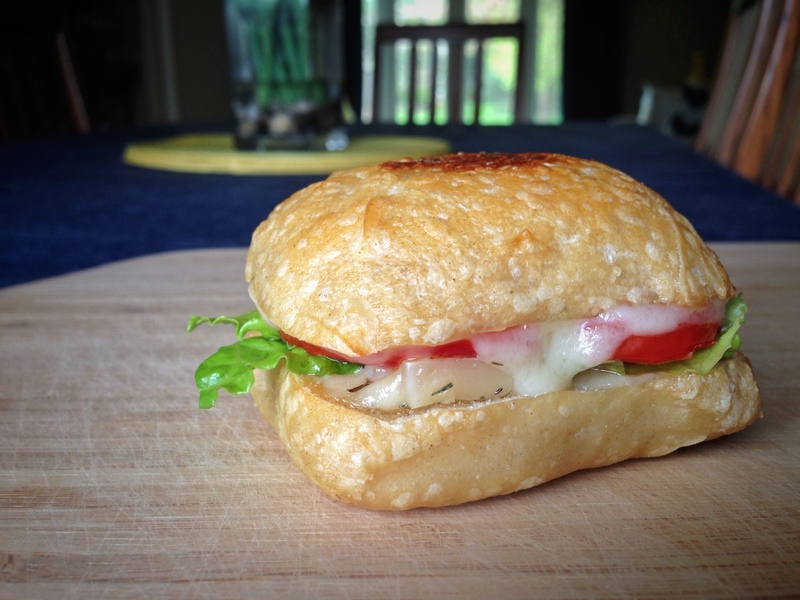 So I looked at what I had on hand, and made a pretty simple set of savory grilled cheese sandwiches made on mini focaccia rolls I had bought from my local Nino Salvaggio market. Being as I’m in the midst of Meat Free May, I made my sandwich vegetarian, but I added some bacon for my wife’s sandwich so it was more like a B.L.T. with delicious melted cheese. 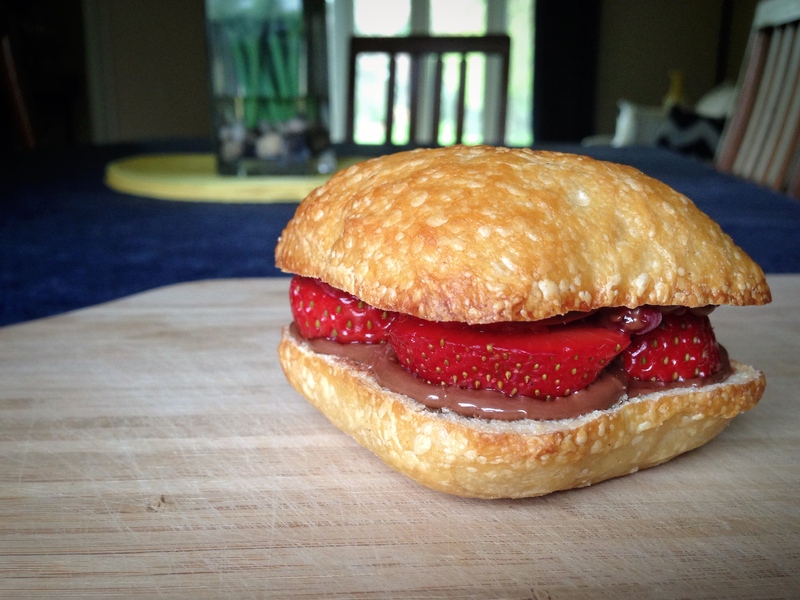 Meat or not, these little sammies proved to be delightfully tasty, and were an instant hit with both my wife and I. And since it was technically a new(ish) recipe, I am taking the liberty of adding it to my 50 in 15 Challenge.